We’re Shannon and Fadra, co-hosts of Stinger TV and Movie Podcast and uber fans of the popular Netflix series, Ozark starring Jason Bateman and Laura Linney, among others. 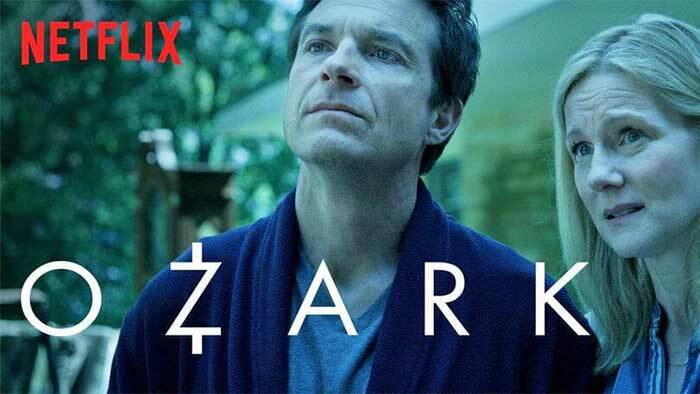 Ozark is all about the trickle down effect of making a small decision with large consequences. The quiet suburban life of Marty Byrde and his family are disrupted when his longstanding but honest money laundering scheme goes awry. We’re here to work through each and every episode of Ozark, season 2, where we hope to discover even more twists, turns, secrets, and, of course, dirty laundry. But first, we thought we’d save you 10+ hours of rewatching season 1 with a recap of all the episodes you watched and loved. We hope you enjoy the recaps and stay tuned for season two coming up soon! « What’s Happening in Castle Rock?